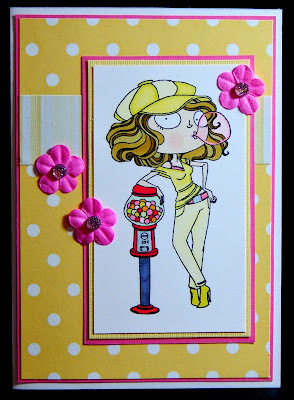 I created this card today for the Spring Selfie Krop challenge over on Kraftin' Kimmie's Facebook page. I paired the moodboard inspiration challenge along with the May sketch #2 over at Viva La Verve. 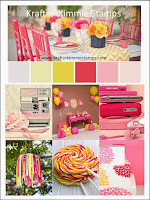 From the moodboard I used pink, yellow, dots, flowers, candy (gum). 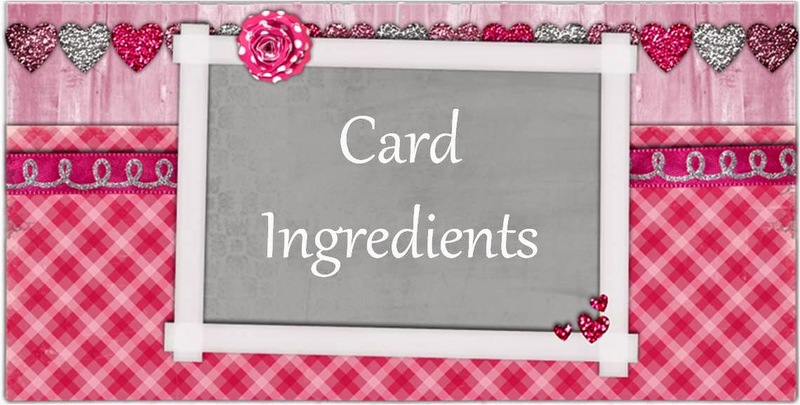 I started with a white card base and added a piece of yellow dot patterned card stock backed in pink card stock. I added a strip of yellow striped patterned paper. The image I used is Bambi Bubble Gum from Kraftin' Kimmie Stamps. I stamped her onto Spectrum Noir smooth card stock and colored her using Spectrum Noir pens. I backed it in yellow and pink card stock. I added 3 mini pink paper flowers and in the center of each flower I added a pink gem. Glad that you could join us for the "Got Flowers" Challenge at Come And Get It…..hope to see you back soon! This is card is so bright and fun! Great CAS design. Thank you for playing along with our CAS challenge at Crafty Catz this week. Good luck! Oh, how darling! Thanks for playing along with Viva la Verve!